At the heart of small-business marketing are the campaigns that drive action – collections of marketing activities that reach targets and help organizations achieve their goals. Newsletters and announcements are core components of those campaigns. And as our speaker, Bryan Caplan, a Constant Contact expert, will explain, e-mail is more important than ever. At this session Bryan, of the first Constant Contact Master Certified Local Experts in the country, will reveal some simple but effective best practices for small businesses and nonprofits seeking to make their e-mail newsletters more effective, both for those sending them and to the customers, prospects, donors, and supporters receiving them. A born entrepreneur, Bryan Caplan earned his sales and marketing stripes in both the corporate and small-to-midsize business worlds. He started BJC Branding in 2010 with the goal of both educating his clients and positively impacting their businesses. 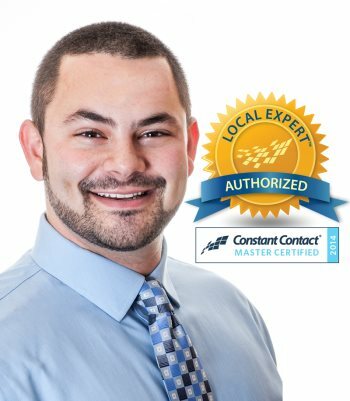 Bryan leverages Constant Contact’s entire suite of online marketing tools to drive visibility and revenue to his clients. He has also carved his niche as a professional speaker, presenting online marketing workshops and seminars throughout New England. BJC Branding focuses on Constant Contact e-mail marketing, social media consulting and coaching, local search engine optimization (local SEO), graphic design, and WordPress website design.